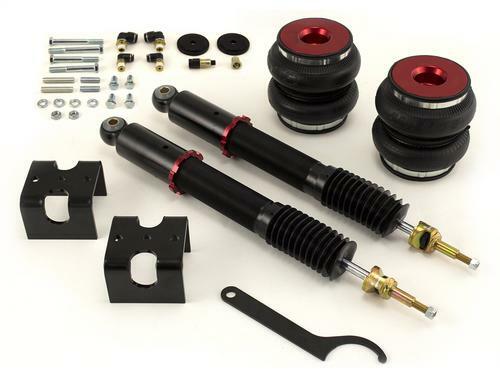 Suspension Specialists since 1949: Air Lift Company has developed dependable air spring suspension products since our inception in 1949. Our original product, a rubber air spring inserted into a car factory's coil spring, was created and patented in 1950. We've come a long way since 1949 and are proud to be a dedicated suspension specialist company. Today, Air Lift load support products are sold worldwide and are engineered to fit over 540 vehicles. Our extensive product line offers air helper springs for trucks, RVs, SUVs, CUVs and vans, and the most technologically advanced on-board air compressor systems for on-the-go air spring control. Air Lift leads the industry in no-drill applications - kits that simply bolt onto your vehicle's frame, speeding the installation process. Our teams work constantly to bring innovative products to you and upgrade existing products with the latest technology. Our Air Lift Performance division customizes full air suspension replacement and compressor systems for lowered performance vehicles. All of our efforts are spent ensuring your safety and comfort by designing, engineering and manufacturing the highest quality suspension products. We are a family owned business based in Lansing, Michigan and make your family and cargo's safety our top priority.